To most new project managers, the most important aspect of your job is likely the project delivery. In a close second place is probably the project stakeholders. However, as you begin to gain more and more experience as a project manager, you soon realize that project stakeholders are as important as the project itself because the relationship with the stakeholders defines whether the project is seen as a success or not, despite a successful delivery. It becomes imperative to make sure the stakeholders are actively engaged at each phase of the project and the channels of communication are appropriately used. In this article, we will see what some of the common challenges with stakeholder management are, in a conventional sense, and how we can overcome those by engaging effectively with the stakeholders. There are plenty of articles on the internet which lay down the principles and framework for stakeholder management. In a Utopian world, they would all work fine. However, given that our world is not Utopian, it is not always that these principles and framework result in the desired outputs. More often than not, there are certain challenges that project managers face when they tend to ‘manage’ their stakeholders. In my experience as a project manager, I have seen that most people like to work as an independent and competent authority in their area. Being ‘managed’ by someone has a bit of a negative connotation and that becomes the first challenge that project managers face – establish an environment where your stakeholders feel positive, involved, and engaged. In a typical stakeholder management scenario, the communication channels are mostly formal and not very collaborative. You have multiple stakeholders across the organization and managing all of them together for different requirements and functions becomes difficult to handle. These are some of the common challenges that project managers face, if there isn’t a good level of engagement with the stakeholders. To address this, there must be a Stakeholder Engagement Plan. 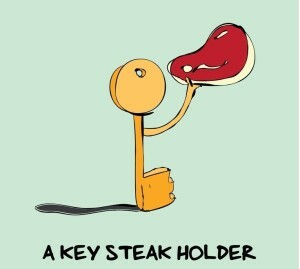 Let’s start by defining a stakeholder. The Project Management Institute (PMI) defines a stakeholder as an individual, group, or organization, who may affect, be affected by, or perceive itself to be affected by a decision, activity, or outcome of a project. Since your project will usually span across multiple functions and departments of the organization, it is imperative that there are stakeholders from all of these functions and departments concerned. As a project manager, it is your responsibility to identify the different types of stakeholder roles that exist for your project and then figure out who plays that role from within that function or department. Depending upon how large your project’s span is, there might be some or all of the above stakeholder roles, or more stakeholder roles than the ones listed above. Further, each of these stakeholder roles could have one or more people in it playing that role in your project. As a project manager, it is your responsibility to make sure that you identify the stakeholder roles and the resources playing those roles, completely and accurately. Now that you’ve successfully identified all stakeholder roles and the resources, let’s move to the next step in effective stakeholder engagement. Let’s consider a project that would have all eight stakeholder roles listed above. Let’s also assume that each role has three participants. This gives us a total of 24 people who are our stakeholders in various capacities. They all have a different role to play, at different times in the project. Collaborating with all of these stakeholders at the same time and with the same level of intensity is not the most efficient way to engage them. Each of the above classes, in both of the classifications, has to be treated differently, since their involvement in the project is different. This is something that you, as a project manager, need to be skilled at. As I have mentioned earlier, not all stakeholders are required at all stages of the project. 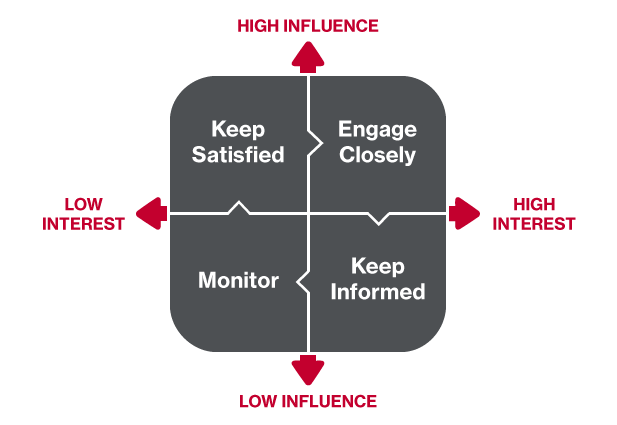 Depending on how you classify your stakeholders, the primary or the high influence and high interest stakeholders must be communicated with at the highest frequency. The above graphic shows the different channels of communication that would be useful for the different classes of stakeholders. The Board and Sponsor typically are the category of stakeholders that would hold the highest influence on the project, but the interest might not always be very high. They might have multiple projects at different stages of execution so it is sufficient that they get the updates in the Board and Steering committee meetings. Another example would be a “supplier” stakeholder. While the requirements are being drafted, this is a stakeholder that would have high interest and moderate levels of influence. Hence, the right quadrants might apply. However, once the project is in development, the supplier doesn’t have an active role to play and can be moved to the lower-left quadrant to receive status reports from time to time. With a set frequency and mode of communication in your plan, you can engage more effectively than ever with the appropriate stakeholders for that stage. Once the above three steps in the plan are covered, everything else would fall in line as the project execution starts. 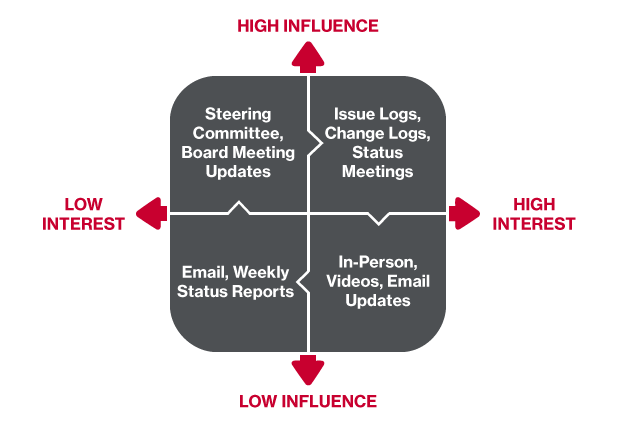 The above graphic – an extension of point 3 – shows the level of engagement required for the different stakeholder groups. It is now up to you to follow the stakeholder engagement plan and engage with your stakeholders proactively. Remember, effective communication is 90% of a project manager’s work, so make sure to include the Stakeholder Plan as part of your overall Project Management Plan, keep your stakeholders engaged and see your project as being successful to all of them. MCFTech provides our clients with project management oversight for all clients. We work with industry leading platforms such as QuickBase to deliver Business Process Applications that help your business run more effectively. To find out more about how MCFTech can help your businesses run more effectively, contact us today at info@mcftech.com or by calling 440-201-6050.